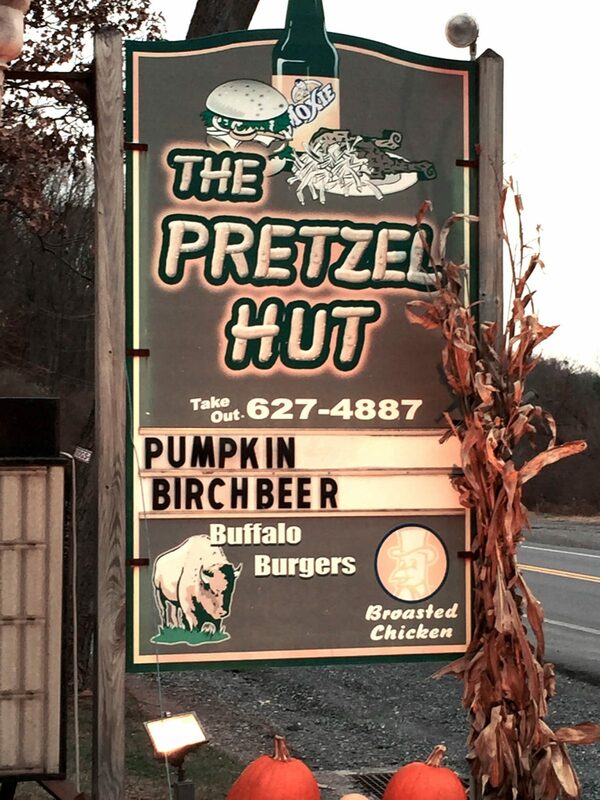 Nestled at the edge of the towering woods just north of Brickerville, The Pretzel Hut dates back nearly half a century. Long ago, it was the place to stop for fresh, soft pretzels. Pretzels are still served, but the name exists as a tribute to the past. They now offering a full menu of sandwiches, fresh burgers, bison burgers, cheesesteaks, salads, quesadillas, stromboli, loaded baked potatoes, broasted chicken and dinner entrees. And don’t forget the best soft serve ice cream around and many hand-dipped ice cream flavors to choose from including frozen yogurt. The inside of the restaurant has a charming Coca Cola decor and seats about 45. Outside are picnic tables and children’s play area, complete with an ever-changing live animal exhibit! If you want a little more adventure and exercise you can access the horseshoe trail and hike for miles. Call for weekly specials, and ice cream flavors.